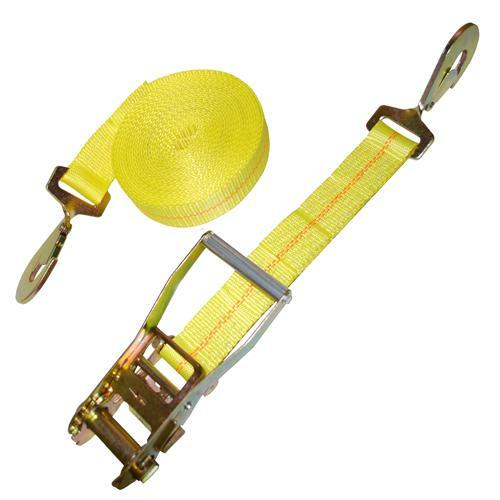 Every trucker needs some 2” x 27’ ratchet straps with twisted snap hooks and wide handle for securing loads. They are perfect for just about any size object or for putting over the tarp for extra security. Our ratchet straps are high quality cargo straps at a great price. These multi-purpose straps are great for securing building materials, equipment, farm supplies, and much more. For 30’ lengths, click here.